WAKORO, Mali (Alertnet) – Mariam Coulibaly surveys the leaves of groundnuts growing in the fields outside her village. The crop is a traditional one in this west African country, but the seed variety is not. At local prices, a 100 kg bag of nuts can fetch around 23,000 CFA francs (about $50) – less than in the cities but enough to grant the farmers improved economic security as harvests rise. 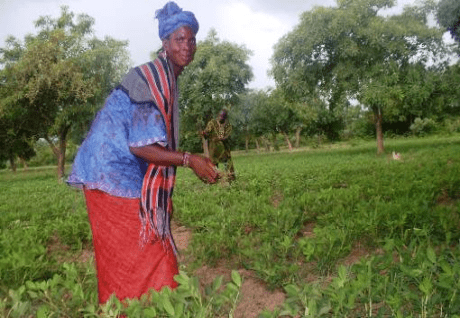 While farmers in the region mostly grow staple crops for food, groundnuts – grown largely for sale – are their most important source of income, and have helped make up for failures of other crops.